Mexus’ Santa Elena mine is located 54km NW of Caborca, Sonora State, Mexico. This fully permitted project consists of 7 concessions and totals over 3200 acres. The property is easily accessible from the local highway with major infrastructure a short distance away. The Santa Elena mine is dominated by a series of fissure white quartz veins where 6 important systems have been recognized. Three or four low angle shear zones are also present with important prospects in them and notable higher gold grades as bonanza pockets. The fissure quartz veins have an average width of 2.1 meters. 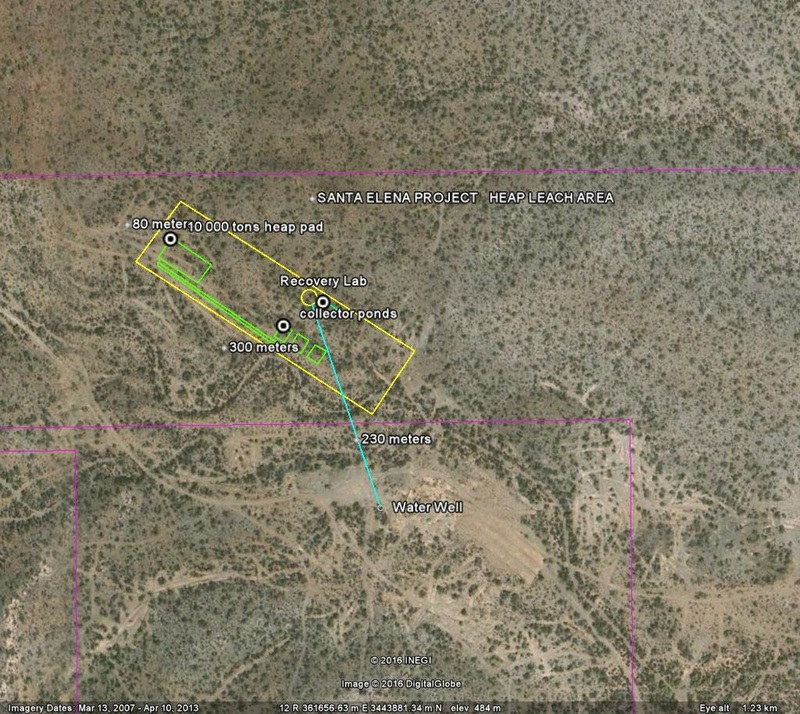 The Julio vein extends more than 800 meters before it buries and is known for high bonanza grades which includes the underground mining site on the property. There is an estimated 415,000 tons on the surface with a minimum of 5 grams per ton. There are also four shear zones recognized in the area. Shear zone 1 is coincident with the Julio Vein and had a sample graded at 11.5 grams. Shear zone 2 is 400 meters to the SE and parallel to the vein system 1 through 5. Shear zone 3 contains a bonanza pocket which had sample results as high as 19 grams and was graded at an average of 5.5 grams from assayed results. Shear zone 4 presently contains some pits, adits, and shafts and graded 2 grams from eight samples. 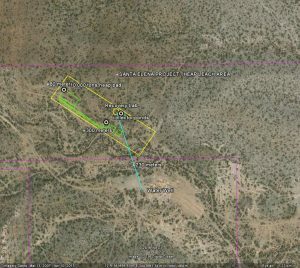 The 6 major vein structures identified in the area S of the Julio shaft account for nearly 4,000,000 tons of mineralized material with average gold grade of 2.5 grams with three times as much in silver. The fissure quartz vein systems have a general attitude of N33E and dip to the SE 60-70. They have a width average of 2.1 meters. The quartz is massive and mostly fractured, and often brecciated due to multiple pulses during deposition. They carry low sulphide content. Minor pyrite is present and mostly turned to hematite. Some malaquite after chalcopyrite is also common but not abundant. The fissure quartz veins were deposited on tensional fracturing possibly created by the left-lateral movement on the major Mojave Sonora megashear supposedly located only about 13 kilometers west of the area. These fissures have a conjugate attitude to the major trend. The depth of the quartz vein depends on the brittleness of the host rock, in this case a granodiorite is a basement rock which is very homogeneous and can have constant brittle consistency for hundreds of meters as noted in the lengths observed on the surface. Quartz veins could attain depths to 1000 meters before they reduce to a tight fissure.Although metal deposition is often zoned at depth controlled by the pressure -temperature conditions, it is known to have these zones extending for more than 1000 meters in depth. The very important element to the Santa Elena is location of the mineralized material. There is little to no overburden on this property leaving access easy and costs minimal. In addition, the geography of this property is flat allowing us to keep our material trucking cost to a minimum. For these reasons, we believe our operating expenses will be much lower than our peer group. The hard rock mining which could include underground mining and the use of a ball mill/gravity recovery system will commence once the heap loading and recovery are underway and optimized.